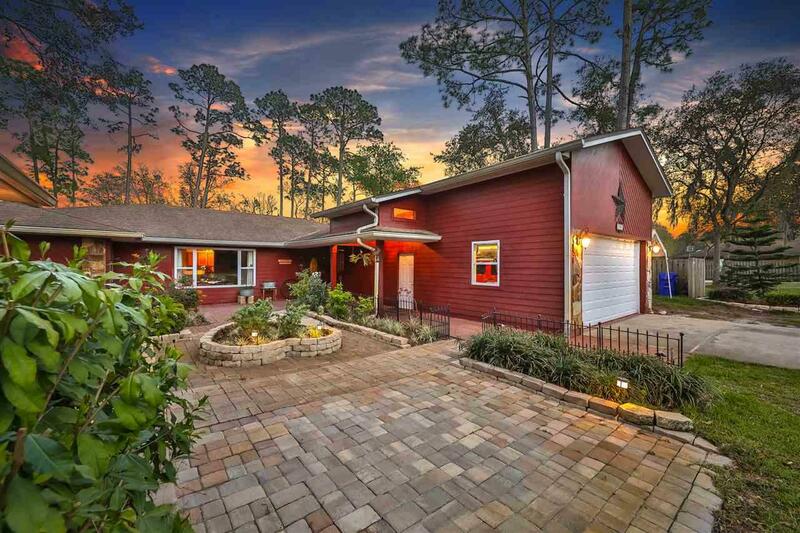 Tucked away on almost Ã‚Â¾ of an acre, this beautiful pool home has so much to offer! 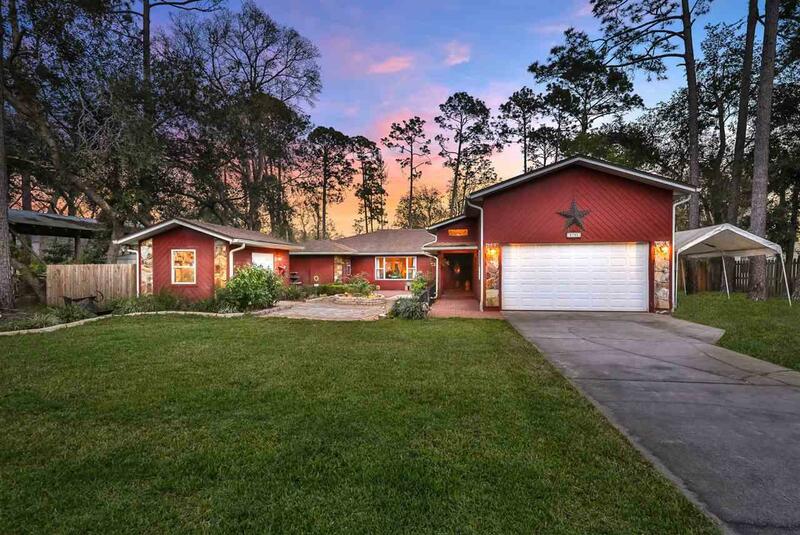 Located in desirable Wildwood Creek, with no HOA and where the lots are large to give privacy & room to relax in your quiet oasis, this 3 bedroom, 2 bathroom home has been perfectly maintained & truly enjoyed. A long covered portico adorned by a tranquil paved courtyard with stained glass, fountain, workshop & blooming flowers sets the stage for a grand entrance. Once you step inside you'll find yourself in a foyer open to the living room that's full of light with a vaulted ceiling. The living room flows into the dining room which is easily accessed to the kitchen. The spacious kitchen wonÃ¢â‚¬â„¢t disappoint with plenty of cabinets & counter space to cook family meals or to entertain. Off the other side of the kitchen is a large family room with a stone fireplace that is sure to be the place where family & friends gather. The master bedroom has French doors leading to the screened porch, two walk in closets with built in storage systems, an en suite bathroom with walk in shower & a separate soaking tub. The home is a split floorplan, with the other two bedrooms & bathroom off the family room. One bedroom has a built in wall system with a desk, cabinet, shelves, & walk in closet, but thereÃ¢â‚¬â„¢s plenty of room for a Queen bed & dresser! A hall bathroom has a walk in shower & a door to the screened porch serving as a pool bath as well. 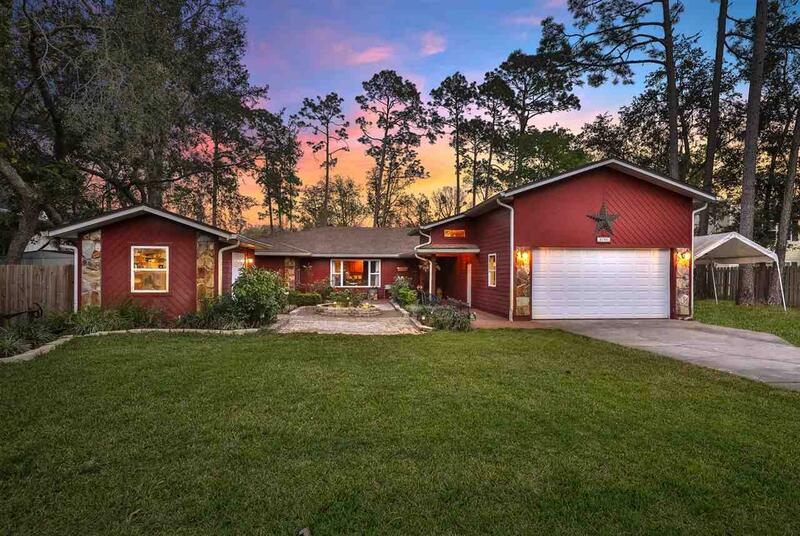 French doors in the dining room & sliding glass doors in the family room lead out to the 36 x 12 screened porch overlooking the beautiful in ground swimming pool & breathtaking backyard. This backyard is truly one of a kind with an enormous deck, garden, chicken coop, two sheds, & room to park your boat or RV on the side! 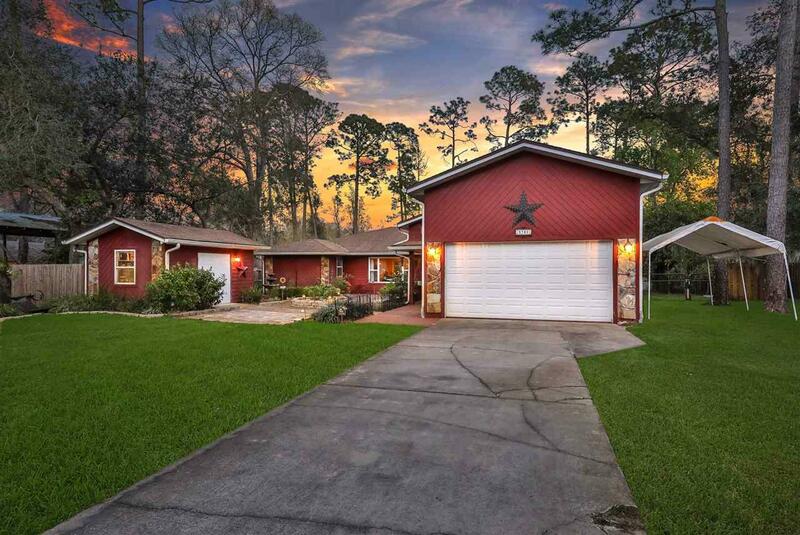 If that's not enough, this magnificent home has an outstanding 4 car tandem garage with 14' ceilings in the front and a lift that is negotiable. Come see this remarkable home for yourself!